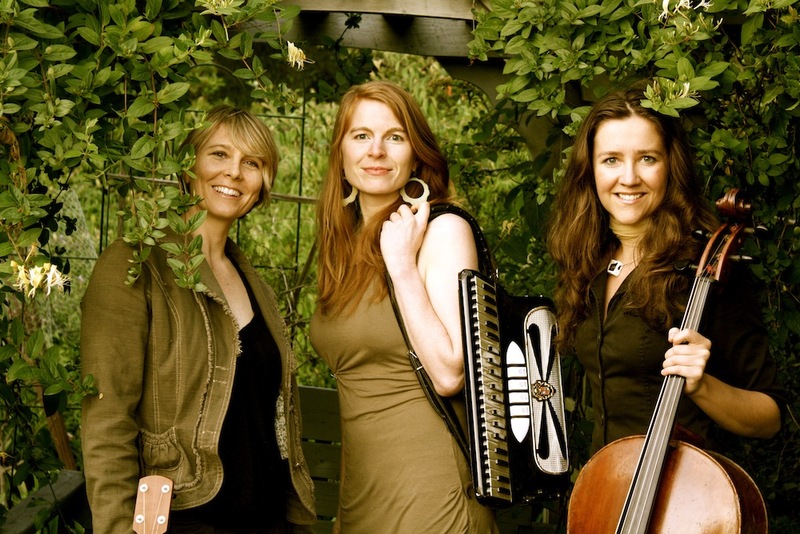 Moira Smiley & VOCO is a visionary blend of voices – redefining harmony singing with the power & physicality of folksong, the avant-garde fearlessness of Béla Bartók and delicious, vaudevillian accompaniment of cello, banjo, ukelele, accordion and body percussion. Moira Smiley’s award-winning original music and spell-binding American and East European folksongs light up the stage with rompin’ stompin’ body percussion and warm wit. Named #1 a cappella group in the U.S. in 2007, Moira Smiley & VOCO is the energy of street singing and the elegance of a string quartet. Expect magnificent, hair-raising performances – music that mourns and dances at the same time. Called “fascinating and multi-lingual” by the LA Times, “Persuasive, near perfect musicians” by the Herald Times, “gritty and ethereal, banjo to Bartók” by the Village Voice. This is their second appearance at Caltech, and you may also remember Moira from her performances here with the group, Molly’s Revenge, with whom she sometimes performs. Be ready for a real treat with this show!